Dr. David Woo graduated the medical school from the NYU School of Medicine and completed two residency programs: one at the University of Chicago and the other at the NYU School of Medicine. A fellowship followed at the UCSF soon after that. He is specialized in interventional and board certified in diagnostic radiology. Dr. 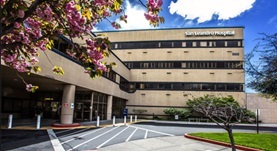 Woo has been in practice for more 11 years and is affiliated with the San Leandro Hospital. During his career, he has also contributed to 6 publications of medical interest. Dr. David Woo has contributed to 3 publications. Management of portal venous complications after liver transplantation. Woo, D.H., Laberge, J.M., Gordon, R.L., Wilson, M.W., Kerlan, R.K.; Tech Vasc Interv Radiol. 2007 Sep. Long-term outcome of infrainguinal bypass grafting in patients with serologically proven hypercoagulability. Curi, M.A., Skelly, C.L., Baldwin, Z.K., Woo, D.H., Baron, J.M., Desai, T.R., Katz, D., McKinsey, J.F., Bassiouny, H.S., Gewertz, B.L., Schwartz, L.B. ; J Vasc Surg. 2003 Feb.
Aortic reconstruction in patients with functioning renal allografts. Skelly, C.L., Farmer, A.J., Curi, M.A., Meyerson, S.L., Davidovitch, R.S., Woo, D.H., Schwartz, L.B. ; Ann Vasc Surg. 2002 Nov.